We are members of the Global Workspace Association (GWA) and are regulated by the Royal Institution of Chartered Surveyors (RICS) so you can be assured of property professionalism at all times. Welcome to The Office Providers, we are the global flexible office and workspace search service dedicated to helping customers find the perfect working environment to help their businesses grow. We work with 99% of the office and workspace providers around the world and therefore are able to provide the perfect workspace solution in over 3,000 locations across 120 countries. Our network of experts is positioned in the local markets of over 900 towns and cities across the globe ensuring unrivalled expert local information and advice. So, if you are looking for serviced offices in London, office space in Frankfurt, managed offices in Paris, private offices in Hong Kong, co-working space in New York City, or anywhere else in the world, The Office Providers are your experts. We provide offices and workspace for entrepreneurs, startups, small and medium enterprises, non-profits, large institutions and multinational corporations, so we understand the importance of a tailored service to suit customers’ bespoke requirements. We cater for all of our customers’ office and workspace needs whether they require serviced offices, managed office space solutions, co-working space, private offices, corporate office space solutions or traditional leasehold office space. 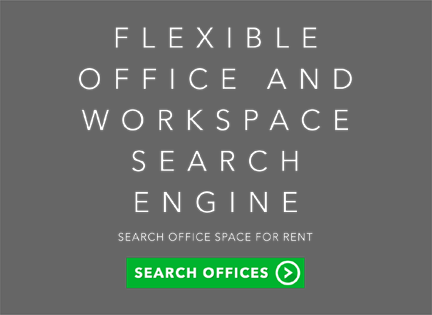 Search for Serviced Office Space to rent or let throughout the World with The Office Providers. The offices and workspaces we provide do have commonalities such as business-grade Wi-Fi and telephony, conferencing facilities, the latest in furnishings and fittings, meeting rooms, break-out areas, catering facilities, security, on-site support staff, networking opportunities, environmentally responsible facilities such as efficient lighting, cycle racks and shower facilities, and close proximity to amenities and transportation links. You are a long-term customer with The Office Providers so we can help your office space grow as your enterprise grows, whether that is into a larger footprint of space, a new location or into a different format of workspace altogether. Why choose to use The Office Providers? 1. Our services are FREE, always. 2. We are the only flexible office and workspace search service that is regulated by the Royal Institution of Chartered Surveyors (RICS). 3. We are members of the Global Workspace Association (GWA). 4. We are members of The Property Ombudsman (TPO) scheme. 5. We work with 99% of the office and workspace providers around the world.